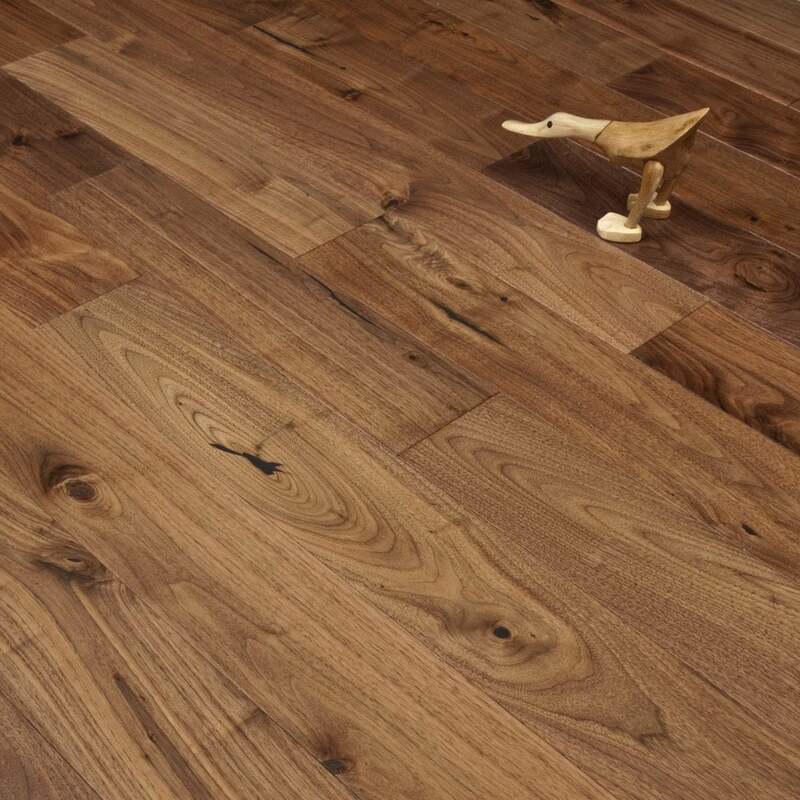 This Walnut board is a rich and gorgeous floor, with caramel planks and coffee coloured knots and grain. It's got a wide range of variations from board to board, making it look exactly like a real solid wood floor. If you're worried about the grains and knots in some of the boards, order a couple of extra boxes so you can choose the planks you like best. One of the best things about this floor is that with the thickness of the board, it can be stripped down and treated again more than once, so you can make the floor look different or new again, or if you like the look of aged walnut, simply let the floor sit and absorb the years in your home. I ordered samples of the engineered walnut flooring oak flooring and they arrived very quickly without any hassle at all. Simples, easy and quick. The samples are approximately 100mm square in size although I would recommend ordering more than one sample as it's perhaps not enough to really visualise the look of the material when placing it where it will be laid. The samples are of reasonable quality and are certainly enough to test against any expected wear and tear. In regards to the colour of this specific wood, the finish was much darker compared with the images online - this was not something that we were after but of course it could be perfect for you. Overall, despite the darker than expected finish, the sample was certainly enough to help us decide what to go for.